We offer Dried Buffalo Meat in the national as well as international market. The range of Dried Buffalo Meat includes Dried Omasum, Dried Shoulder Cartilage, Dried Tendon, Dried Trachea, Dried Heart Pipe. 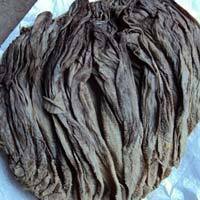 Dried Buffalo Meat is high quality product and available at reasonable cost with all varieties. Alfa chem l co is a manufacturer, exporter and supplier of buffalo meat and meat products. The company successfully opened its business in the year 2000 in India. This prominent company is based in Mumbai, Maharashtra. The company is successfully headed by honorable Mr. Wakil ahmed, the managing director of the company.